By choosing Carpet Cleaning Ardmore's staff as your preferred carpet cleaners you not only safeguard your carpets but act in the interest of the environment as we use only Eco-Friendly carpet cleaning techniques. We give your carpet a green treatment which guarantees that they are treated with non toxic, biodegradable, Eco-Friendly products, which are pet friendly and extremely safe for your family. Philadelphia Carpet Cleaning in 112 Coulter Ave, Ardmore, PA 19003* uses steam and dry carpet cleaning effectively. Our heating systems enable us to deliver your carpets dry and moisture on the same day. We are proud to be employing new technological innovations for our carpet cleaning services. The Carbonating cleaning solutions help us in drying your carpets within a few hours due to its very little moisture dependency. Hot water extraction and steam cleaning solutions are organic and hence safe for your carpets. The use of carbonating bubbles gives us further efficiency and ensures that cleaning carpets are without residues. We use this technology for rugs & carpet cleaning, as it handle removal of dirt and stains that settles deep down in the carpet's fibers. With these collective cleaning processes, we pick the most suited treatment for your carpet and get you the results. We ensure that you get super clean carpets without leaving a single carpet fibre. 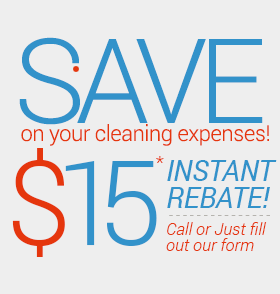 Call us at 610-915-8916 to fix an appointment for a free estimate regarding your carpet cleaning needs and ensure a safe home for your family.